Few things in the world of hard rock are as moving and intense as a Ritchie Blackmore solo, and this last live gasp from his band, Rainbow, sports some of The Man in Black’s wildest playing. It’s a collection of mostly live tracks recorded between 1978 and ’84 at various venues in the U.S., Japan, and Britain. 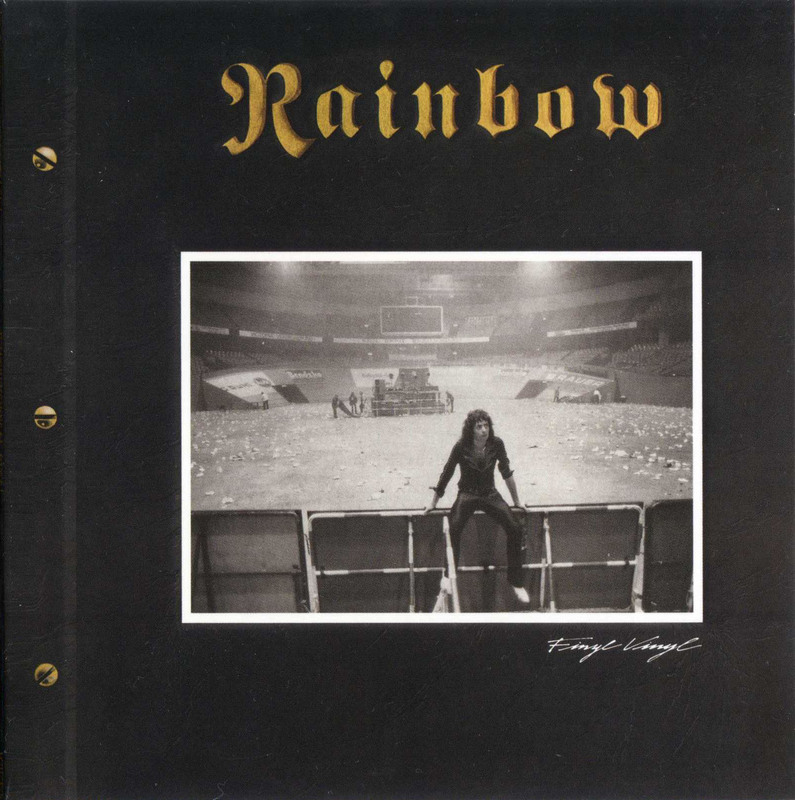 The earliest tracks feature original Rainbow vocalist Ronnie James Dio on “Man on the Silver Mountain” and “Long Live Rock ‘n’ Roll, while the newest ones have Joe Lynn Turner singing tunes from Rainbow’s Difficult to Cure album. Somewhere in between is Graham Bonnet, the least impressive of the Rainbow vocalists, singing “Since You’ve Been Gone” at the Monsters of Rock Festival in Donnington, England. Rainbow bassist Roger Glover produced Finyl Vinyl, but the sound production is really quite weak in spots. On the positive side, this two-record set includes a photo album with lots of super colour pics of the different Rainbows inside. And of course, there’s those sparkling Blackmore solos for those old Deep Purple fans who just won’t grow up.